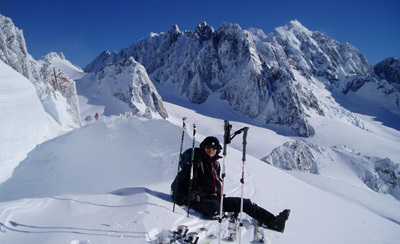 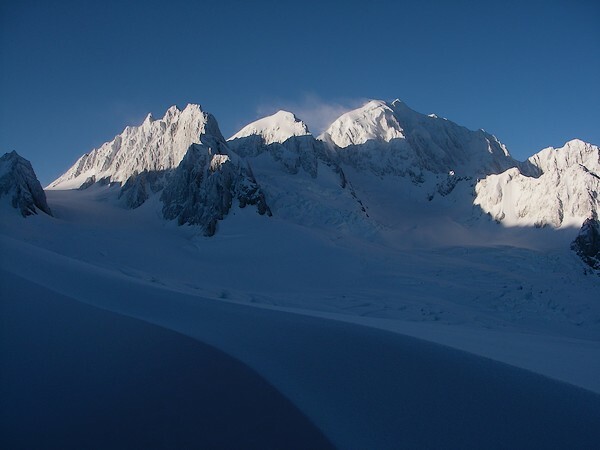 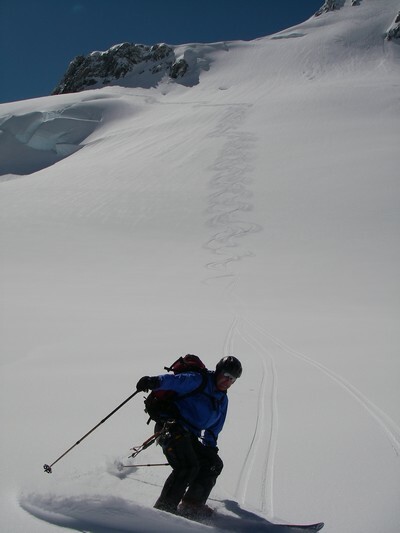 To work in with the NZ weather systems, 6 to 7 days give you the best chance of experiencing the high alpine ski touring terrain in late winter-spring. 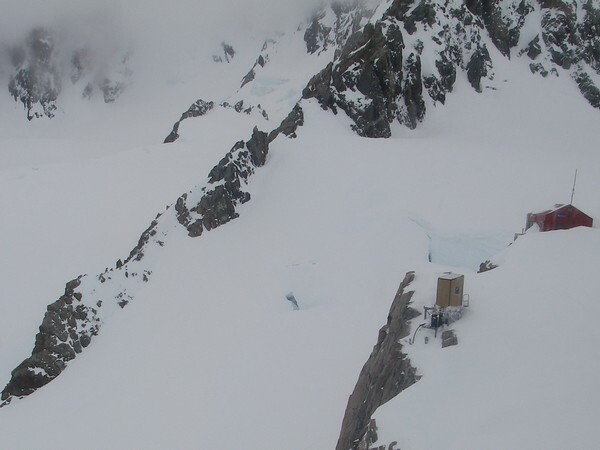 We typically fly in and base ourselves at an alpine hut at around 2400 m altitude. 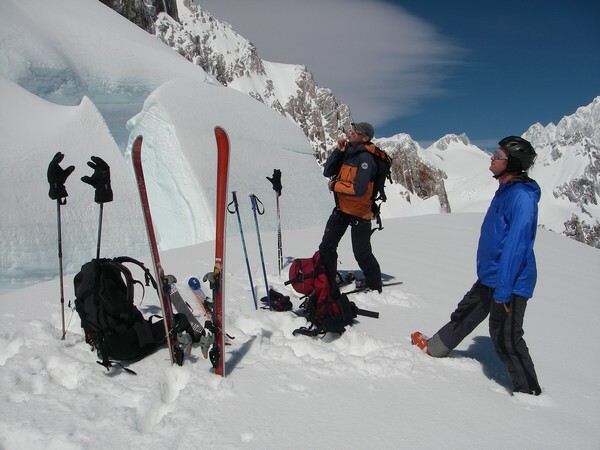 The days are spent discovering vast glacial terrain, tour up and ski off easy peaks and passes, view serrac's and visit ice caves - all on a snow base of not just a few meters but HUNDREDS of meters. 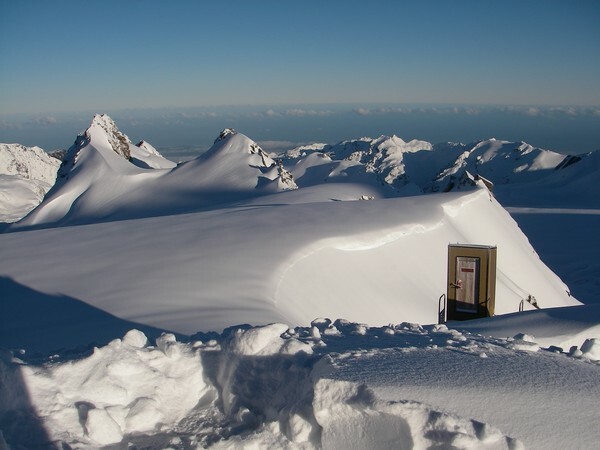 Crisp, clear air and incredibly white snow, winter in the high Southern Alps is a mountain photographers paradise with fantastic surface texture, wind sculptured snow, crystal clear atmosphere and amazing sunset colors. 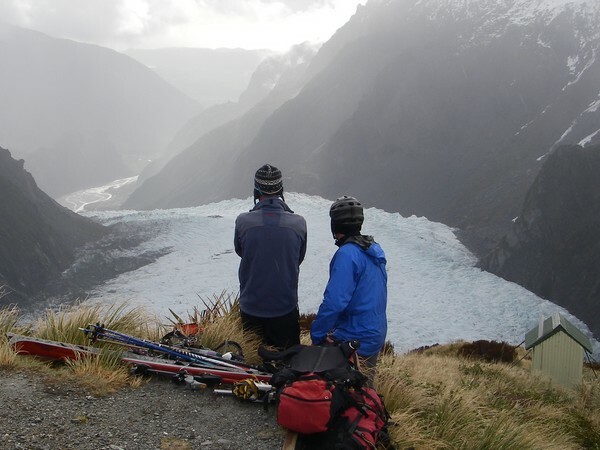 Talk to us for your customized back country experience in New Zealand.